Instagram is the new Vogue. It is the first place where a trend crops up, and in a matter of weeks, it is all over my feed. Instagram gets brownie point in tempting poor consumers like me who are lured by the influencers to buy the items that they have showcased in their feed. I have been keeping a close tab on the Spring 2017 Jewelry Trends, and here are my favorite 4. I am obsessed with this trend, colorful pom-poms on my dress, slippers, and earring, I can take it all. Pom-poms are made with multi-colored woolen yarn. 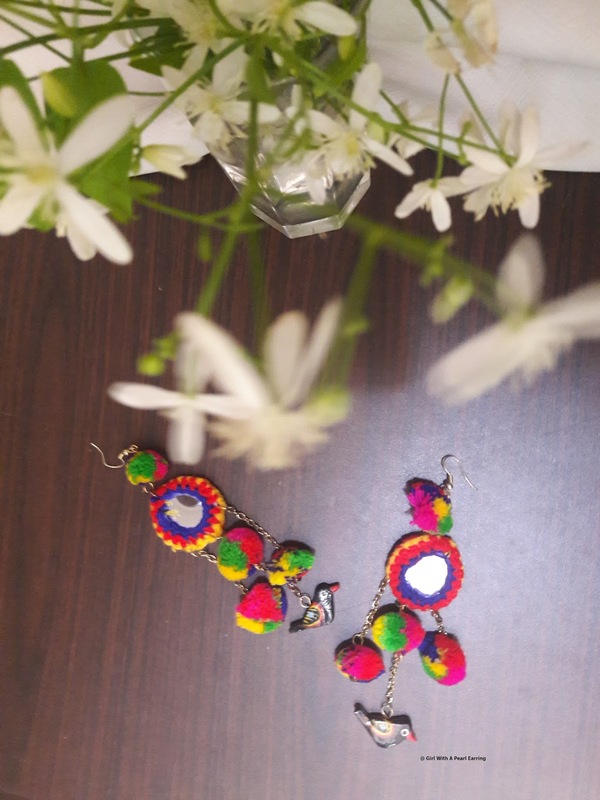 If you are crafty, make your own pom-poms while the lesser mortals can salivate this trend from online portals. 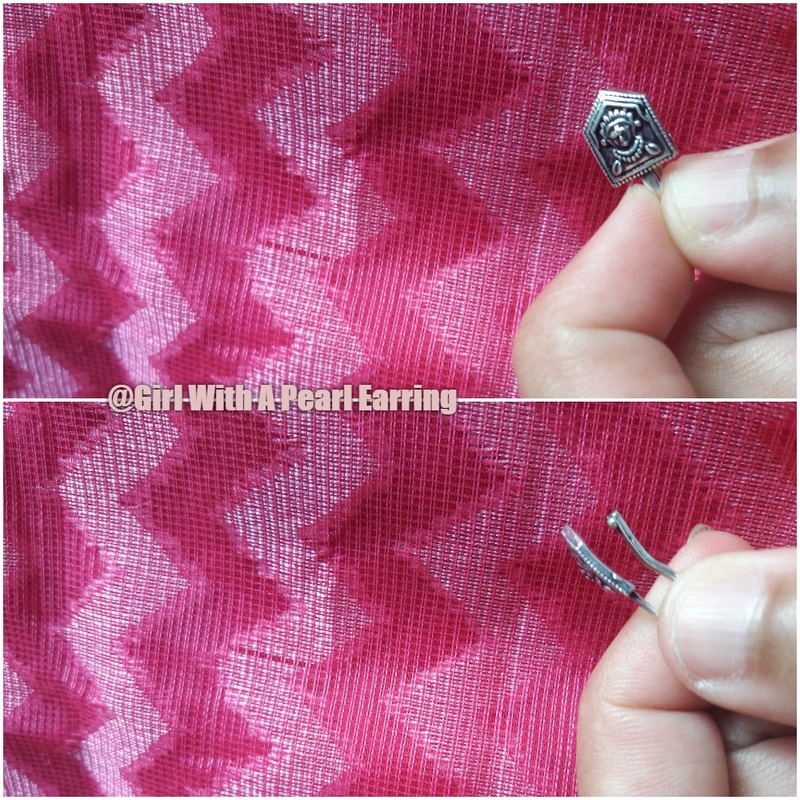 I would wear my pom-poms earring with monotone outfits to add a pop of color. 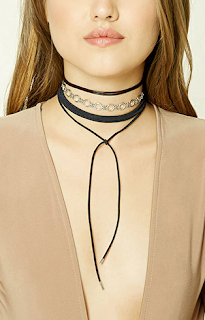 Definitely a spill over from 2016 fall trend, I used to rock the chokers way back in 90's and sadly no one appreciated my fashion sense then. Chokers are basically a neck piece that is tighter around the neck, comes in all sort of material and colors. Pairs well with a grungy look, I would wear these with an off-shoulder top. Down south, I see the nose pins taking over, these are bigger and better. Large motifs like lotus or goddess that make a strong statement are a big rage. 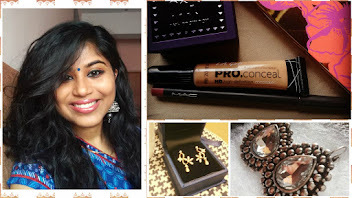 Nose pin goes well with ethnic wear like sarees and kurtas. Kuchi jewelry incorporates elements of colorful glass, jingling bells, coins, etc. in their designs. This category of jewelry has a worn out or rusted silver finish and originally came from the Pashtoon tribes that wandered the border areas of Afghanistan and Pakistan. 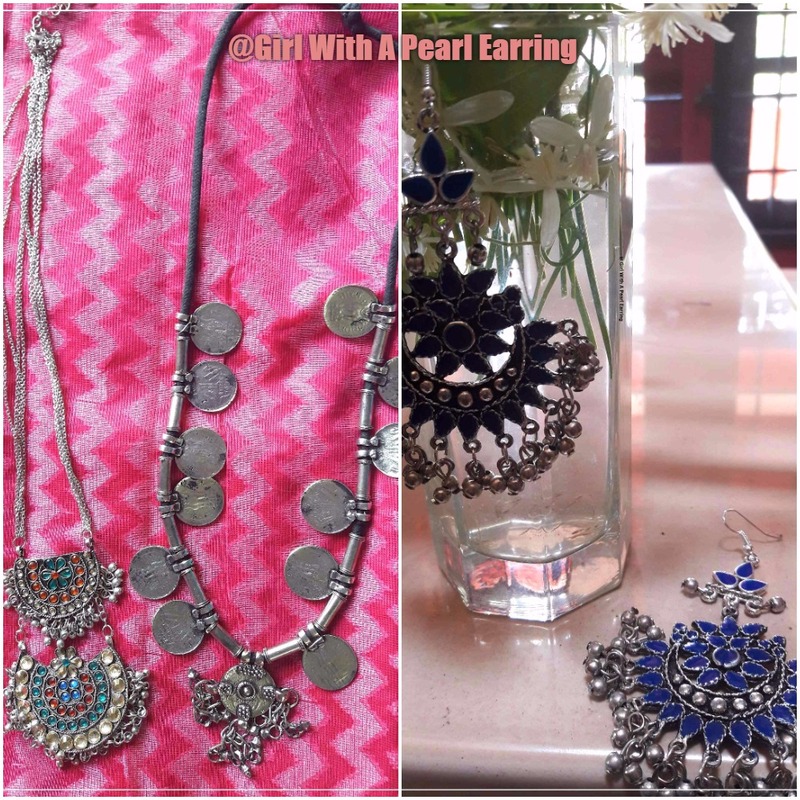 Afghani chand balis /coin necklaces paired with long kurtha and skirt, it is like me falling in love all over again. So what are your favorite trends for Spring 2017? I have been wanting to get some pom pom earrings myself. They look so fun! By the way, I’ve nominated you for One Lovely Blog. What about these fashion earrings for women? Do you like it?